© Robert Frank, selection from Guggenheim 340 contact sheet and The Americans (Grove Press edition, 1959). 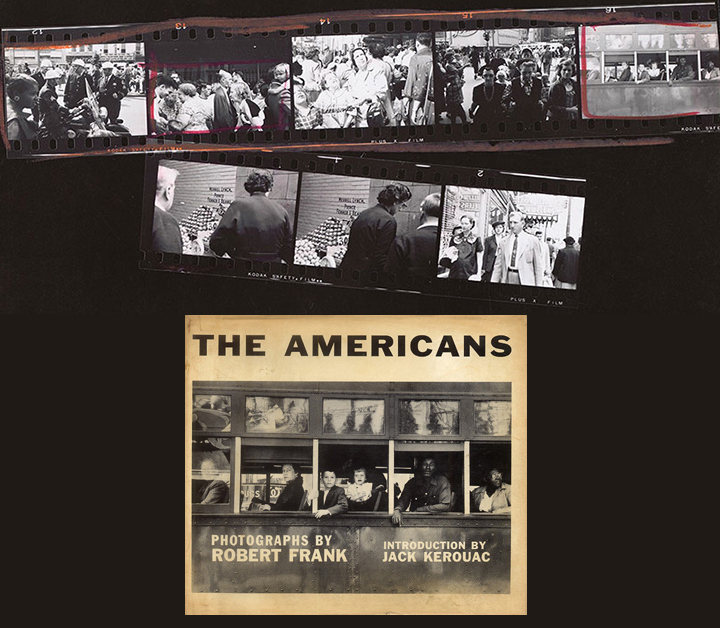 Looking In – Robert Frank’s The Americans (Expanded Edition) published by the National Gallery of Art | Steidl provides an in-depth look into the making of the book, including reproductions of the original contact sheets, a section on comparing the sequential structure of each published edition as well as a map and chronology. To photograph freely throughout the United States, using the miniature camera exclusively. The making of a broad, voluminous picture record of things American, past and present. This project is essentially the visual study of a civilisation and will include caption notes; but it is only partly documentary in nature: one of its aims is more artistic than the word documentary implies. “The photographing of America” is a large order – read at all literally, the phrase would be an absurdity. The uses of my project would be sociological, historical and aesthetic. My total production will be voluminous, as is usually the case when the photographer work with miniature film. I intend to classify and annotate my work on the spot, as I proceed. Ultimately the file I shall make should be deposited in a collection such as the one in the Library of Congress. A more immediate use I have in mind is both book and magazine publication. The working process of going from 767 rolls of film shot to 1,000 work prints to a selection of 83 photographs sequenced in a maquette to the ultimate publication of The Americans was not only involved, but necessary, as evidenced by the tremendous impact of the work within the history of photography and photographic books. 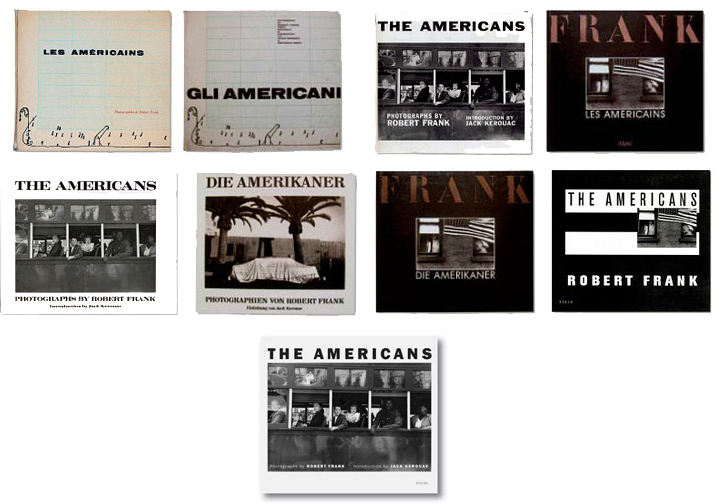 To date, The Americans has been published 9 different times, including the latest edition from Steidl to mark the 50th anniversary of its publication. The making of a maquette (also known as a book dummy) is vital to developing a conceptual, aesthetic and technical framework and structure in developing and producing a photographic book. It provides a physical model of how the book will work as an object to showcase a sequence of photographs and the photographer’s conceptual concerns. In producing the maquette, the photographer can consider the seqeuential relationship of each image, scale as well as technical production and proofing considerations. In preparation of the final portfolio book project, produce a photographic book maquette (book dummy) to scale with a minimum of 10 photographs. In developing your working process, it may be necessary to make contact sheets and/or edited contact sheets as well as work prints to use in determining a structure, sequence and page layouts to work out production considerations. For more information on developing a working process that works best for your practice, click on Developing A Working Process. See Course Calender for due date.